Why no one is paying for my Freemium App? Having an issue with lower conversion rate for your ‘Freemium Apps’? You’re not the only one! Creating a compelling user experience and meaningful feature is critical to the success of any mobile application! It will not make a difference if you play around with the price or promotion; if users don’t value the experience your apps provide. As the history goes on to say:it was in March 2006 when Fred Wilson described a business model that involved giving fully featured software for Free. And the term freemium was coined by Jarid Lukin a former director of eCommerce. As a practice it is a simple concept; where you need to build a great product and give away majority of it for free! With-in the application you will have some built-in hooks’ that would lead customer to purchase something – a digital good, better experience, a locked feature, or say a unique level! Ever wonder why would a bank give you an app for ‘Free’? Or why is it seamlessly so easy for you to purchase a ‘Paid’ version of Dropbox? As an app developer how you can make your users convert from freemium to a premium version of your App without forcing them to do so! What you are giving away for free has to have a fantastic UI design as well as some value.Customer care about what are they getting for free…and the value it provides for them. Just giving anything for free and in turn expecting them to pay for more feature will not work! Let’s talk about Evernote; they have close to 100 million+ users, and only 3.5 % of users are actually paid users. The conversion rate is very small but if you think in the context of 100 million; it is in fact huge! So why is that Evernote is successful? This is where seamless transition happens, Evernote is not selling you something new, it is just an expanded version…as a developer or product manager for the app you need to entice some one; and then capitalize on the desire! And that is where you can leverage freemium to generate revenue! 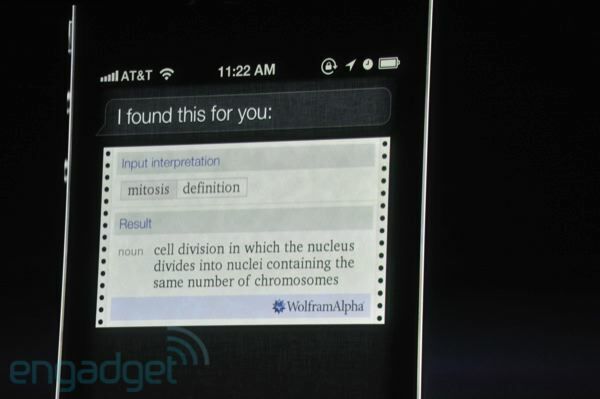 Another example is of Dropbox; why would you convert? You always had free storage…at your disposal, but there is a need for more…and that is where you ask a question to ‘Virtually’ yourself and App; how can I get the more storage? And this is where the Premium helps you! Measuring the Usage and not just Download! You need to understand that just because your app is a free to all, and scores huge number of downloads; doesn’t always mean that it is being used! You need to have very very targeted effort on Average Weekly/ Monthly/ Yearly usage, and not jus the downloads. User should care enough to use, come back and see the value in your App. As a product manger for these apps you should think, and think on What if terms, you should know what questions user could be asking themselves? What are the use cases for premium apps. This is absolutely clear that in App business you are talking in currency, and one of them is “Currency of User’s time” : If your app can make the first impression, for the first time; and for freemium it is very important, that is the initial sell. And once this is done, you need to make it a part of their pattern, day and / or week. From there you should then use the hooks that allows the user to willingly pay you for usage…this way you create a natural balance to use! And also you end up closing the gap between use and Pay! Another important point is Price! There is always a threshold of price like say for games they are almost always charged at USD 0.99 or say INR 99 etc..There is always a mental threshold for mobility…which says anything accept very low! Pricing is a strategy…for Evernote it is USD 40 for a year, and this is a mental threshold, for one user USD 40, and for 3.5 million…whooo hooo! This is huge! Why don’t people convert? You only have the answer for this! 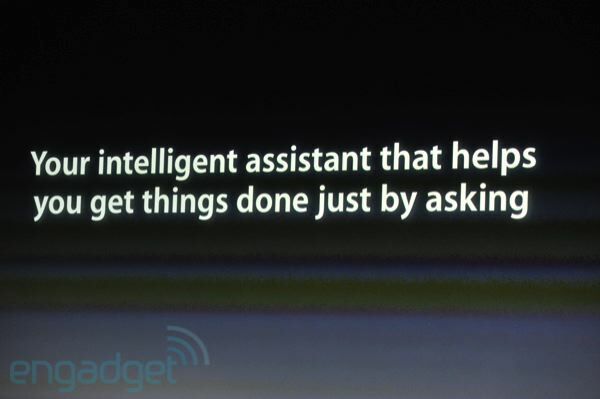 Because your app doesn’t make things easier for them…once they wanna buy its a huge trend in favor of you! You have to make it very simple…have an option feedback in case something goes wrong if you are using a security code, let user know what does that mean…use less of abbreviations which your user staff may know, but your users may not! Don’t make it painful for them. Since you’ve got the value proposition, now you need to make experience of buying simple…for example don’t ask for Credit Card again and again! How do you promote to let people know that there is a paid model? Make your App and the experience associated with this app so beautiful that you create get big community, and in turn the community advertise for you! This is pretty obvious but at times the focus is so much on the conversion and getting business value out of the app, that you almost forgot that app needs to have a great user experience. I would end it by saying, why is that a bank gives away the app for free..? Simple since its the app which is a front end for the services they have to offer, and in turn it only increases the business for them. Some times let it be free, it can be a front end for your customers! 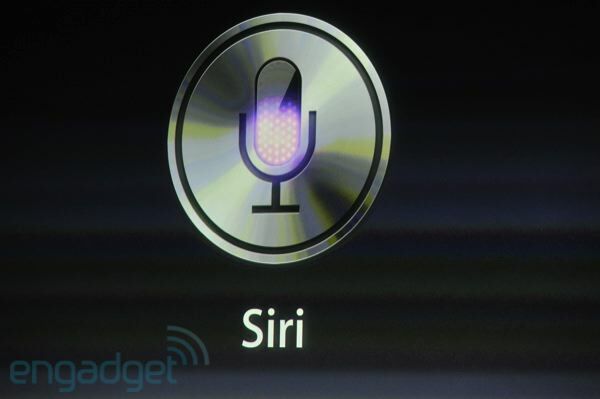 HEY SIRI… WHO’S YOUR DADDY!?!? California’s governor has chosen a day to dub as Steve Jobs Day: Oct. 16, the same date Apple will hold a memorial at Stanford University. Jobs died Oct. 5 and was buried two days later during a small private funeral. Since his passing, the world — including U.S. President Barack Obama, Microsoft’s Bill Gatesand Facebook’s Mark Zuckerberg — has mourned his passing and celebrated his achievements. Several memorials also have cropped up to honor the man who co-founded Apple with Steve Wozniak. The New York Times reported Friday night that Oct. 16 also will be when Apple holds a memorial for Jobs at Stanford University for “prominent Silicon Valley executives.” Jobs famously gave a commencement speech at Stanford in 2005. Previously, Apple announced it would put on an employees-only memorial on Oct. 19 at company headquarters in Cupertino, Calif.
11:38AM – Tim: “Thank you very much.” He’s out, we’re done! 2:35PM It’ll hit US, Canada, Australia, the UK, France, Germany, and Japan. 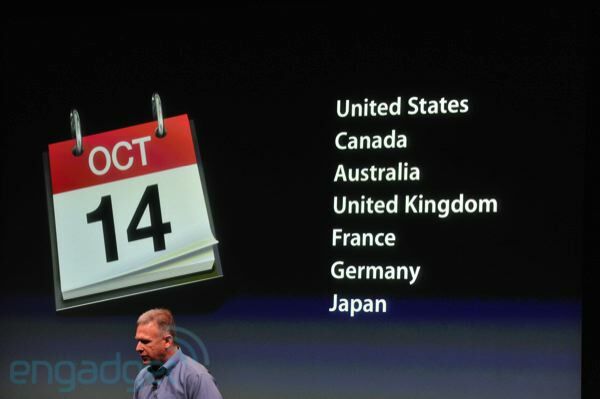 In the US it’ll be Verizon, AT&T, and Sprint! 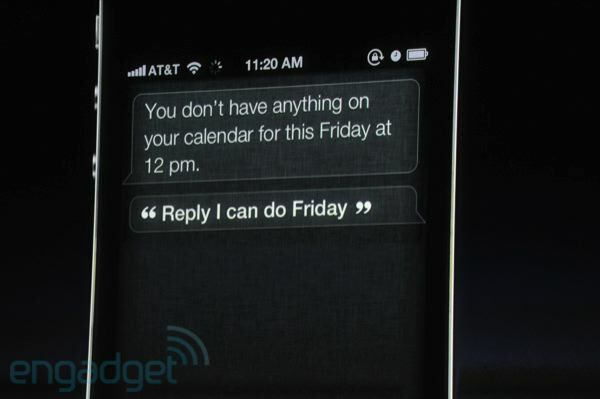 2:35PM Pre-orders for the 4S start this friday, the 7th. Available on October 14th. 2:32PM We’re still waiting for the big info: price and availability. Will this phone hit every carrier? 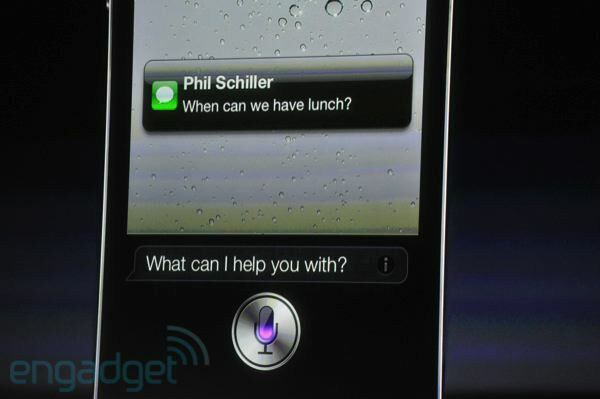 2:34PM Yes, that’s with carrier agreement. 2:34PM Phil’s back. 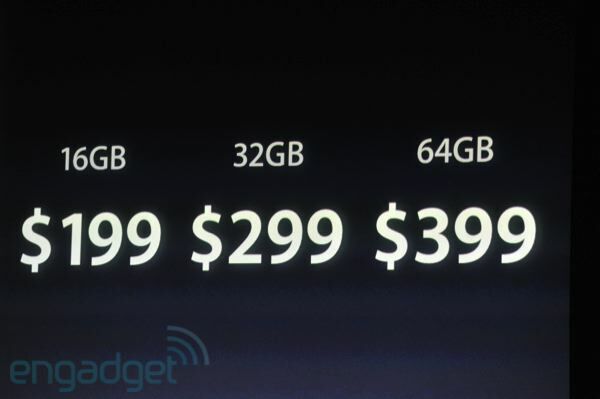 Black and white versions 16GB: $199, 32GB for $299, 64GB for $399. 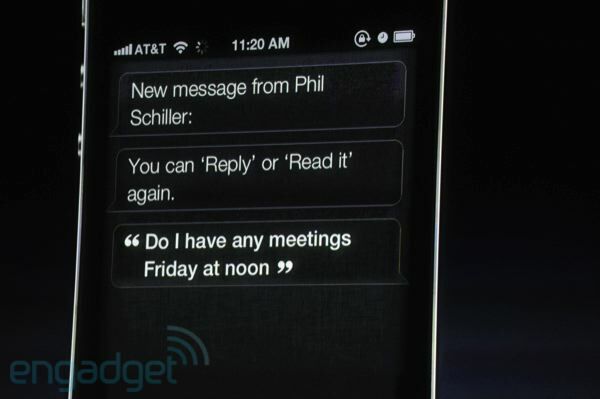 2:31PM More demonstrations of Siri, including a guy booking meetings while running, Siri warning that he has a conflict. Meeting moved, dude didn’t even have to lose his stride. Now you can even work while you’re working out. 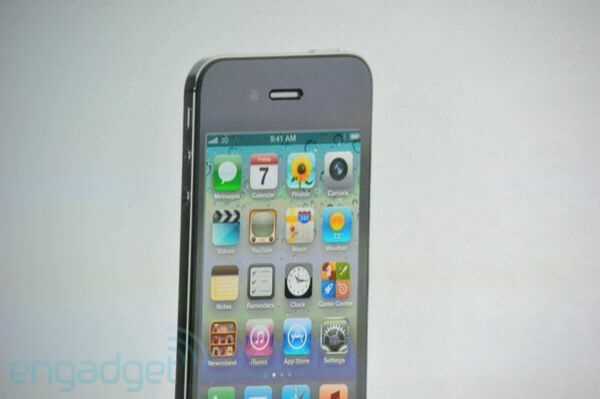 2:29PM “We’re really excited about the iPhone 4S.” They’ve made a video to show it off. Yeah, it’s commercial time. 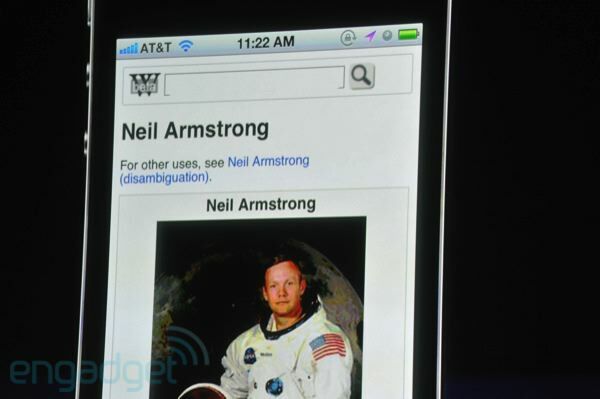 2:22PM “Search Wikipedia for Neil Armstrong.” Suddenly, the world’s greatest American is up on screen, looking like a man’s man in his space suit. 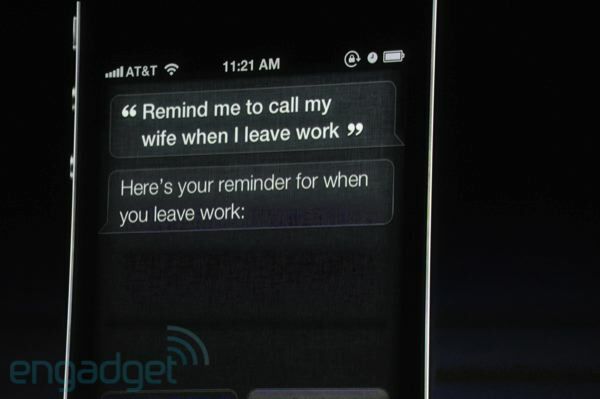 2:21PM Siri always r emembers. 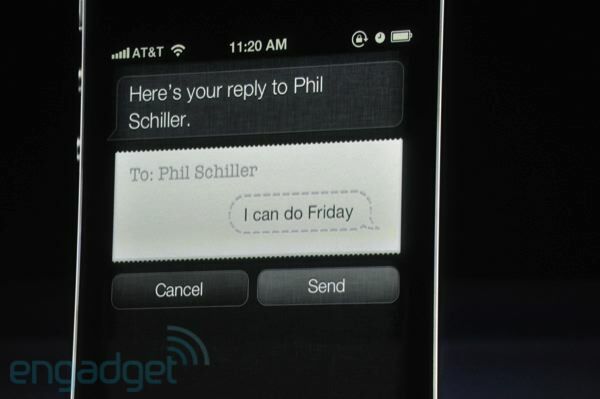 2:20PM Siri automatically creates a text message and asks if he wants to send it off to Phil. 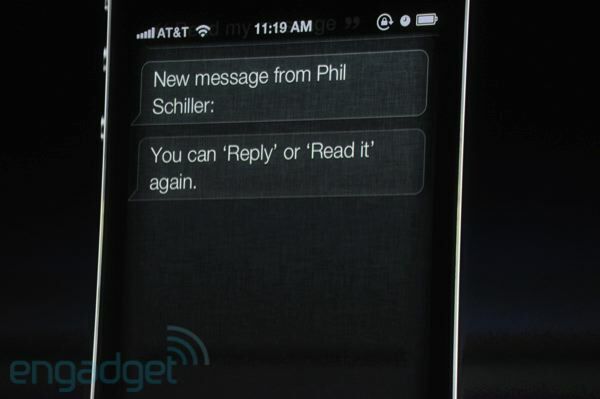 Note that Scott didn’t need to say Phil — Siri remembered. 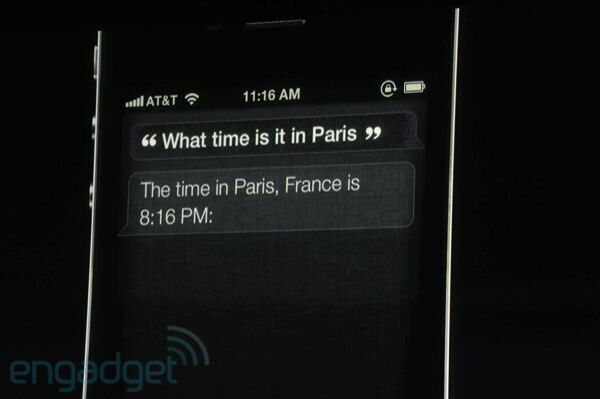 11:47 pm “What time is it in Paris?” Siri responds: “The time in Paris, France is 8:16pm.” Siri also brings up a live clock. 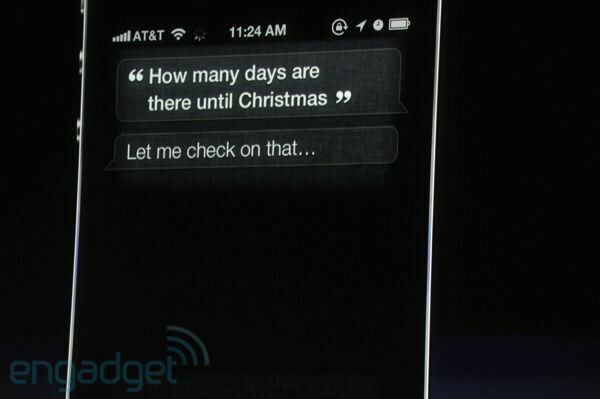 11:46 pm “You can ask Siri about the weather ‘what is the weather like today? 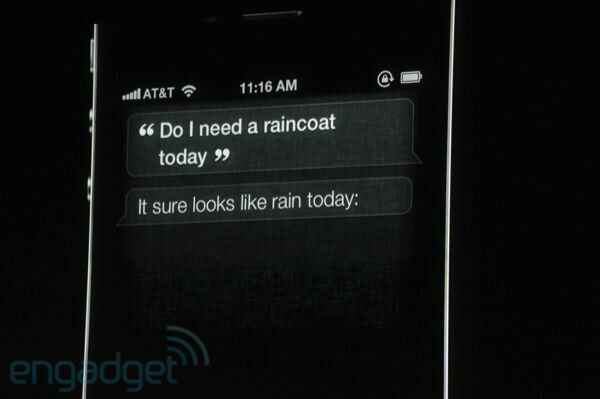 '” Siri: “Here is the weather for today.” Big cheers for that..
11:15AM – Demo time for Siri! 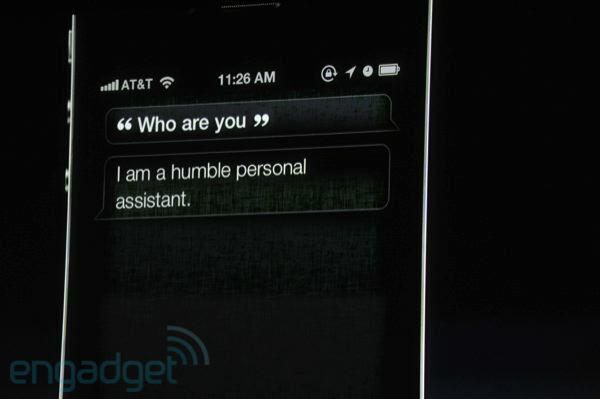 11:14AM – Siri: the intelligent assistant to get things done just by asking . 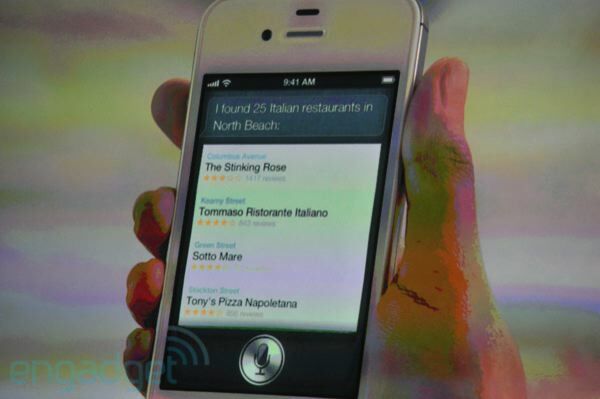 11:14AM – “For decades technologists have teased us with this dream that we can talk to our technology. But it’s never come true! It’s such a let-down! 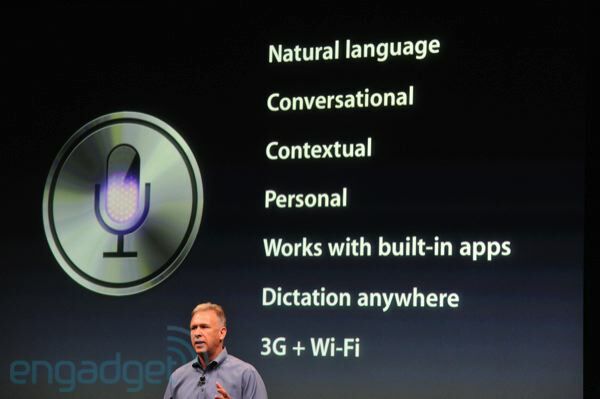 What we really want to do is just talk to our device! 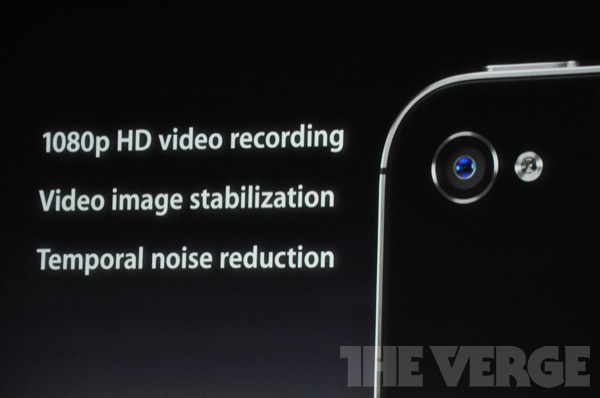 11:10AM – 1080p, real-time video image stabilization (yes! 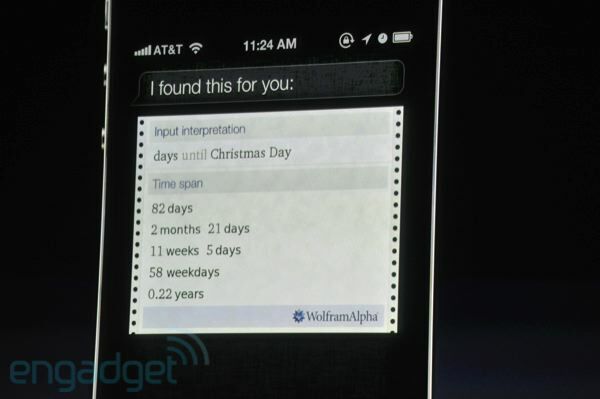 ), real-time temporal noise reduction. Video demo time! 11:09AM – Next: video recording. 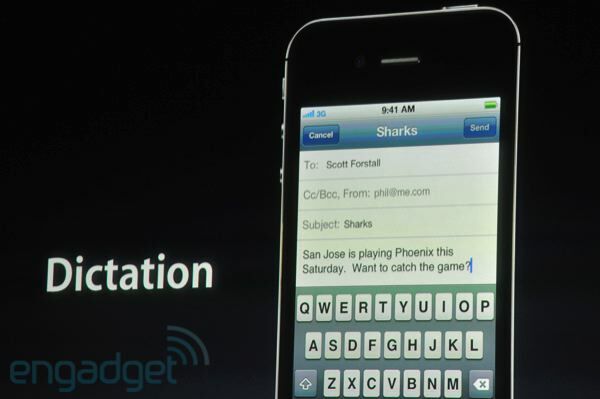 “We take stunning Hd video, and for the first time, 1080p video.” Applause. 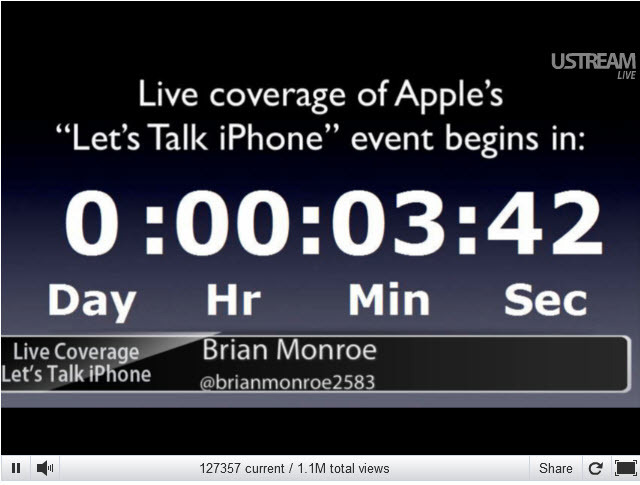 11:07AM – Other phones take 2-3x longer to shoot. “What do Droid Bionic customers have to do between taking pictures? Get coffee?” Yaburnt. 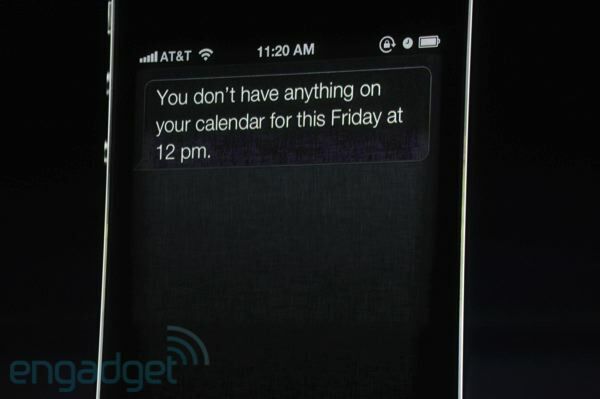 11:07AM – 2-3x longer. 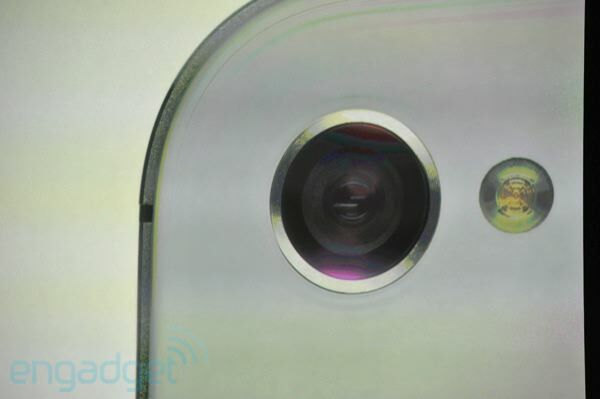 “What do Droid Bionic customers have to do between taking pictures? Get coffee?” Yaburnt. 11:06AM – Oh, and Phil almost forgot to tell us about the Apple designed ISP, which enables stuff like face-detection and auto-white balance. 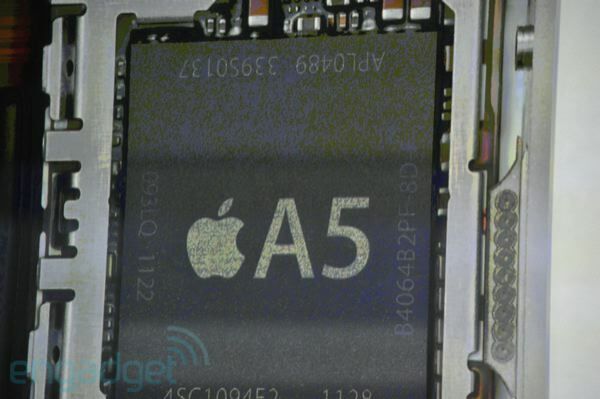 “And that chip takes super fast photos. What do we mean? 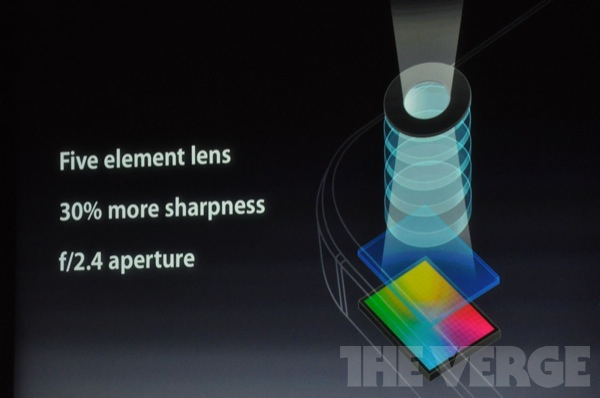 11:05AM – “CMOS backside illuminated sensor — gets 73% more light than the iPhone 4 sensor, and 1/3rd faster. 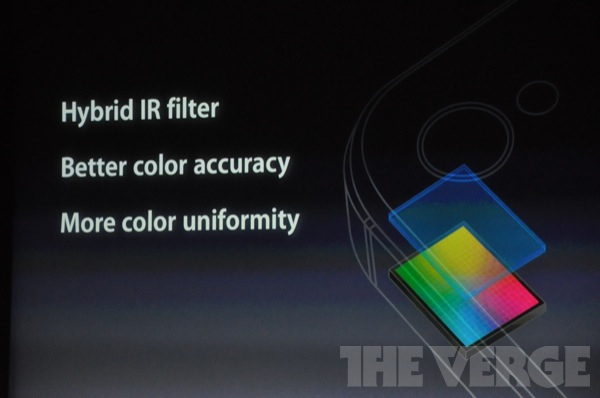 On top of that, we place a high-end IR filter for greater accuracy and uniformity. 11:04AM – Camera system. 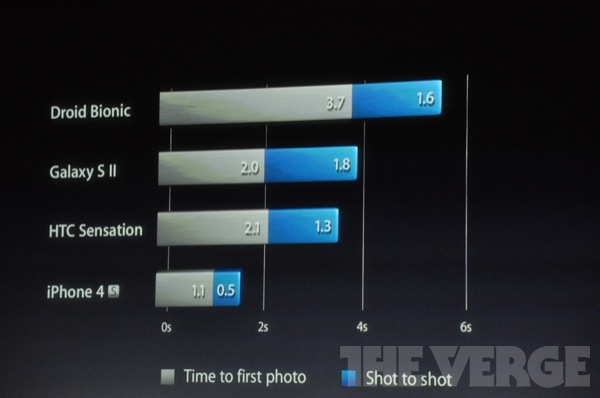 “The iPhone 4 has already surpassed every other camera out there on photo sites. We set our sites on competing with many great point and shoot cameras. 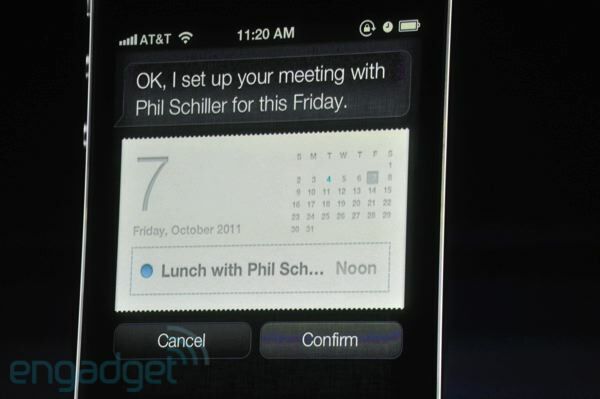 11:02AM – Next: a worldphone! 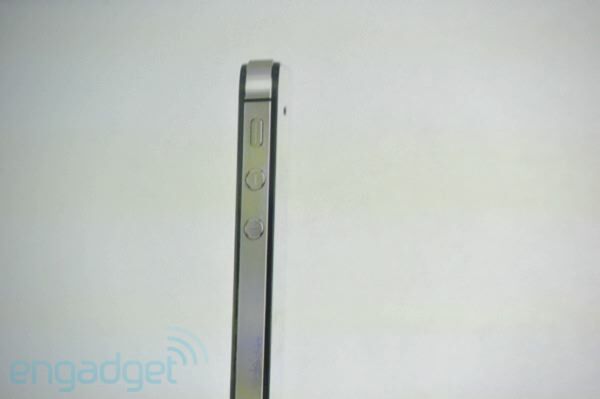 10:54AM – “As you’ve heard, it’s the number one smartphone in the world. 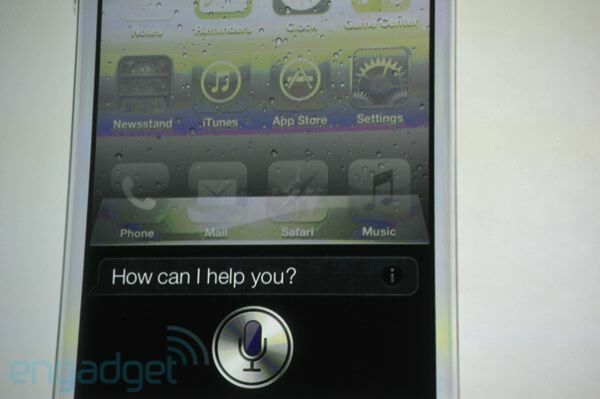 People have been wondering, how do you follow up a hit product like the iPhone 4?” The iPhone 4S. 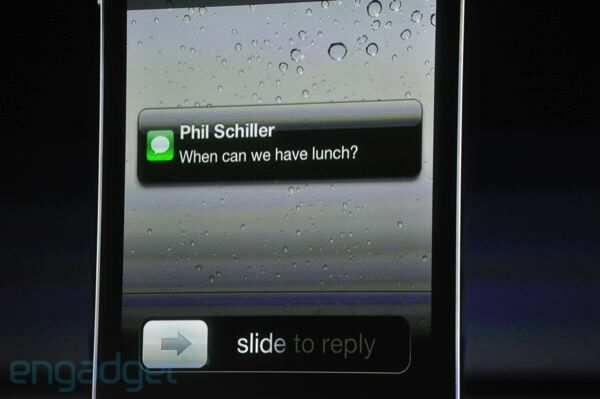 10:54AM – “Next, iPhone. 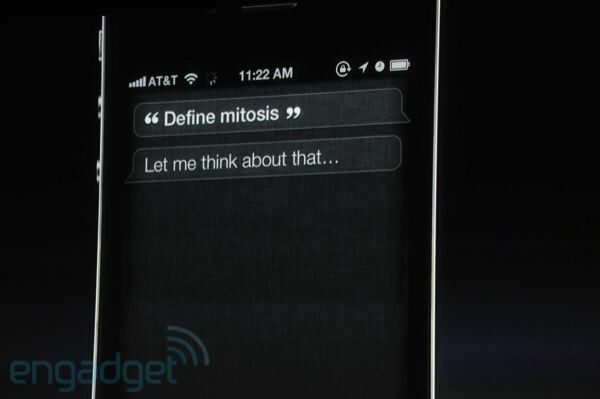 It’s a breakthrough device.” Here we go! 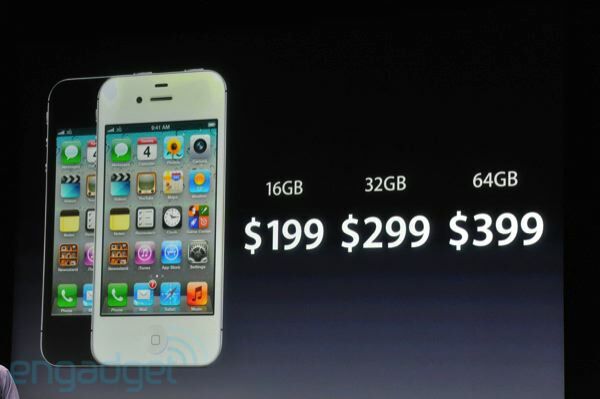 10:50AM – It comes in 7 colors, now the iPod nano is 8GB for $129, and 16GB for $149. Available today. 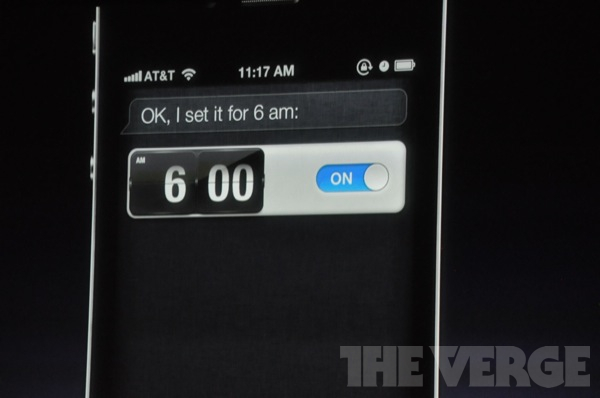 10:49AM – “We’ve improved the fitness experience as well. 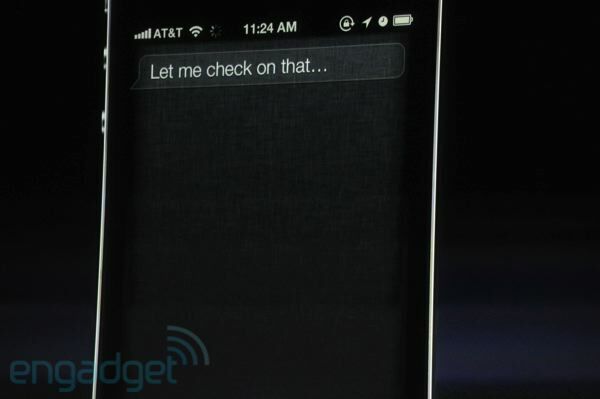 Right out of the box, you can go on a walk or a run as well without adding sensors or devices. 10:41AM – “What if you could find your family and friends? Today we’re launching a new app called Family and Friends.” Foursquare, you ready? 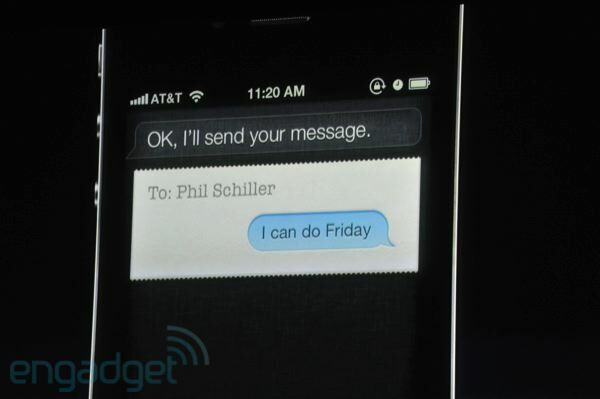 10:26AM – “We’ll affix Apple designed postage to the card.” Of course you will! $2.99 in the US, $4.99 anywhere else. Oct 12th. 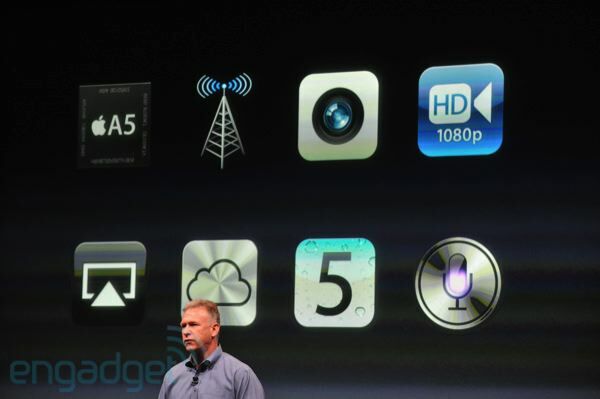 10:24AM – “All of these together makes the App Store the number one store for downloading apps. 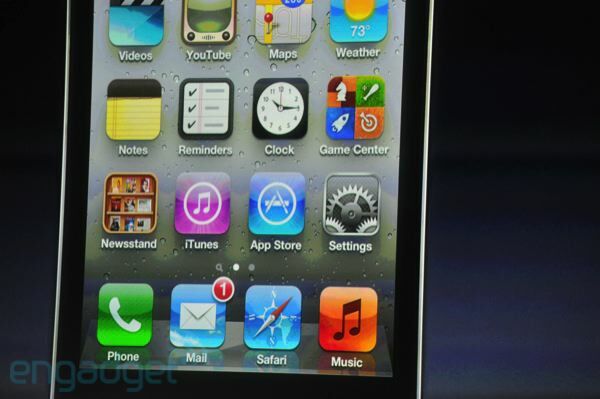 Customers have downloaded more than 18b apps. And it’s accelerating. They’re downloading them at a clip of more than 1 billion per month.” That is pretty insane. 10:19AM – “The customer satisfaction ratings show a 95% score in a recent survey. They’re showing up everywhere. In schools they’re helping kids learn in amazing new ways. 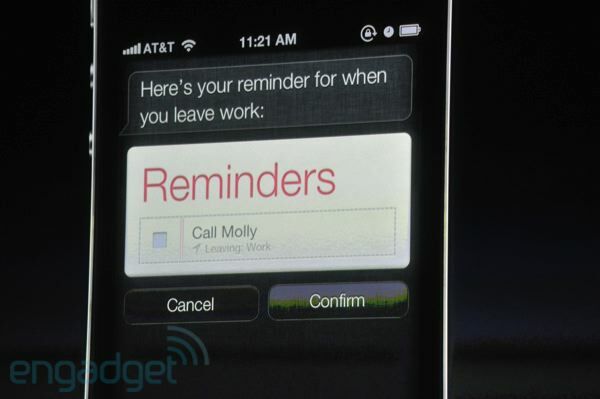 … every state in the US now has an iPad deployment or pilot in place today.” Wow. 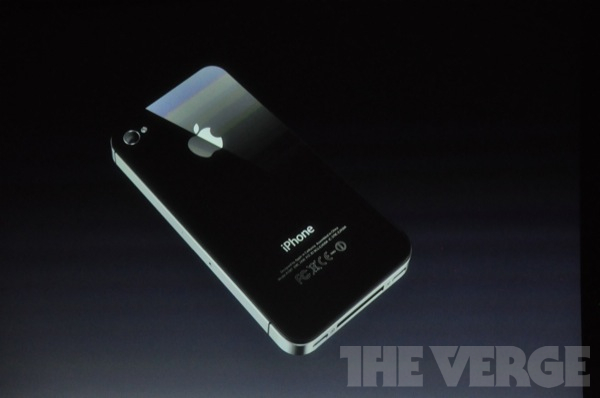 10:18AM – “We believe that over time all phones become smartphones. This market is an enormous opportunity. 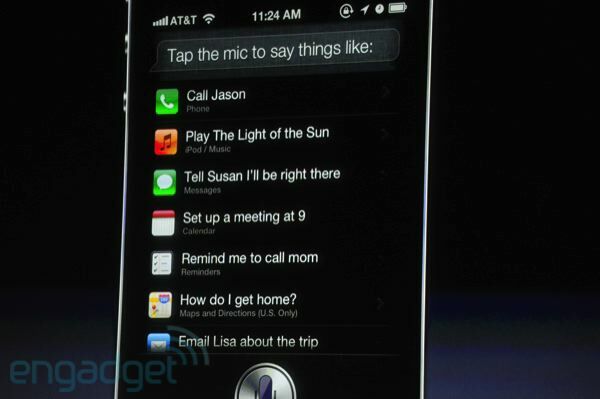 That’s iPhone, more coming up on iPhone.” Chuckles. 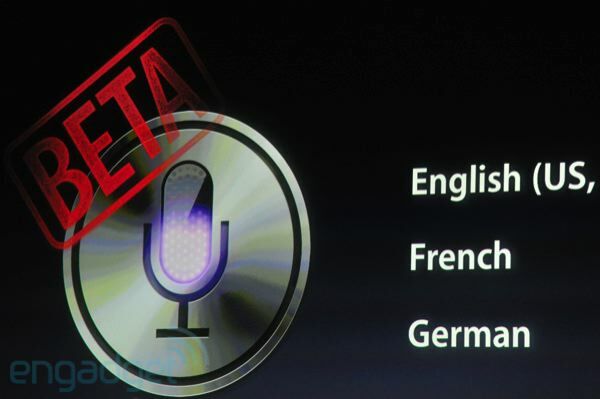 Next: iPad. 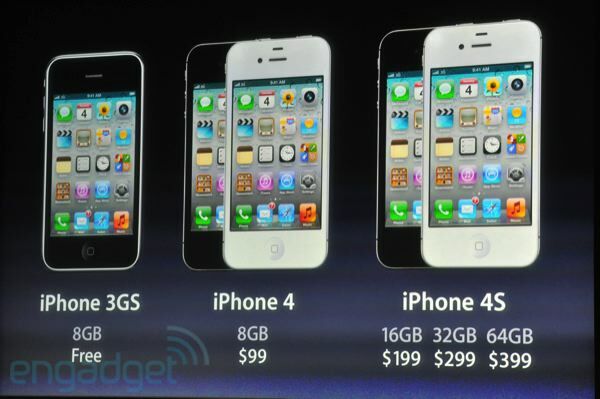 10:15AM – iPhone: “What’s amazing is that the iPhone 4 has sold over half of our total iPhones sold in the entire time we’ve been selling iPhones. 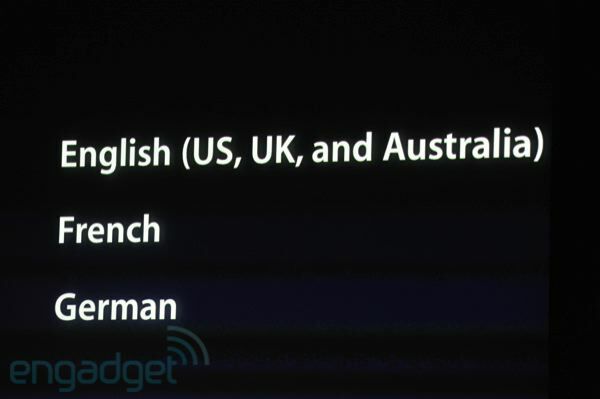 It’s the number one smartphone in the world. 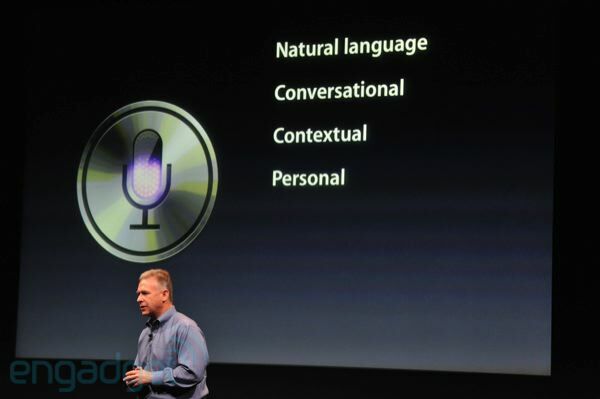 10:15AM – “You can’t talk about music without talking about iTunes. We started 8 years ago, we had 200k songs in our music library. We now have 100x that many: 20m songs. It’s now the #1 music store in the world, with over 16b song downloads.” He called it mind-boggling, and yeah, it kind of is. A couple years ago they were still contending with Walmart and Target and Tower. 10:14AM – “To put that in context, it took Sony 30 years to sell 230k Walkman cassette players. The MP3 market is a mature market, and the iPod is still a large and important market for Apple. We’ve sold 45 million iPods in the last year ending in June. 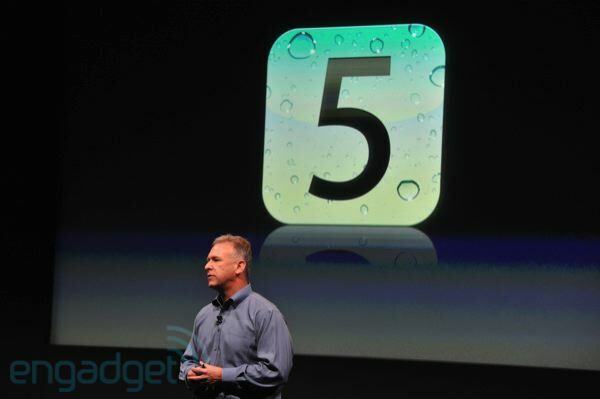 Wh at’s more encouraging, is almost half of those are going to people buying their first iPod. 10:13AM – “Across the last ten years the iPod became the number one music player in the world. And in the US the market share has been above 70% for a very long time. Over that period of time we’ve cumulatively sold 300m iPods around the world.” Damn. That is a lot of iPods. 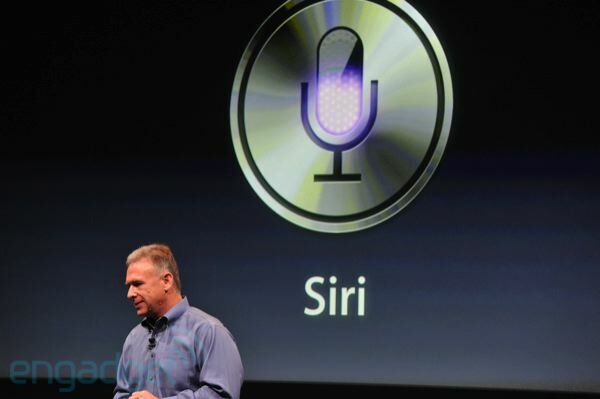 10:11AM – “Every single quarter for 5 years the Mac has outgrown the PC market! We are now approaching 60 million users. In US retail Macs are now selling in about 1/4 PCs in the store. 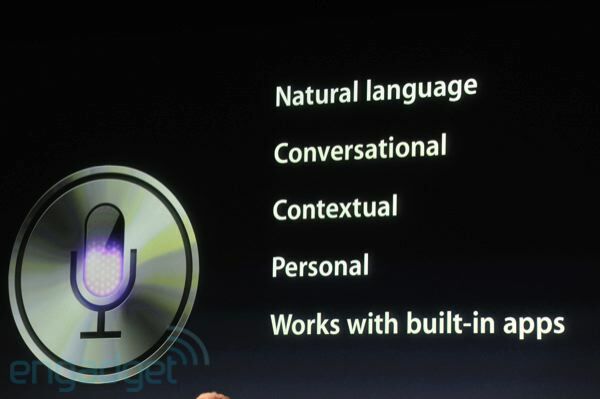 10:08AM – “Our products are at the core of what we do, and are responsible for the momentum we have.” Reviewing four product groups, starting with Lion. Here we go…this is it!!! 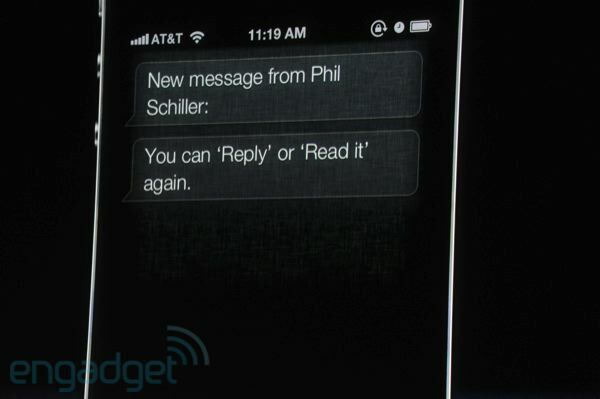 People turning off their phone, as per Apple’s request. Even though they’re at home. Just trying to be courteous, you know? Oh, somebody who works at the Japan Ginza-district Apple retail store (or maybe more likely on Apple Japan’s website) is about to be losing a job today. 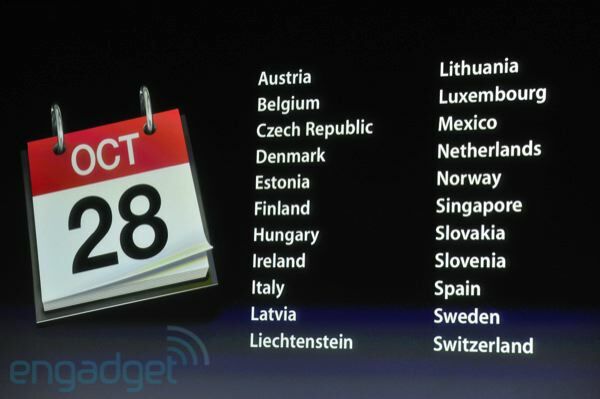 Yesterday AppleAnnounced that the iPhone 5 event is going to be held at Apple Town Hall Auditorium in Cupertino Calofornia.The event will be conduct at 10:00 AM PT.The fifth generation iPhone launch with the new iCloud service and the iOS 5 operating system event will also be the first major product announcement by Apple’s new CEO Tim Cook. BREAKING: The weather is very pretty in Cupertino today! Standing outside in line will account for approximately 50 percent of the total annual vitamin D intake for most of the tech press at today’s event.